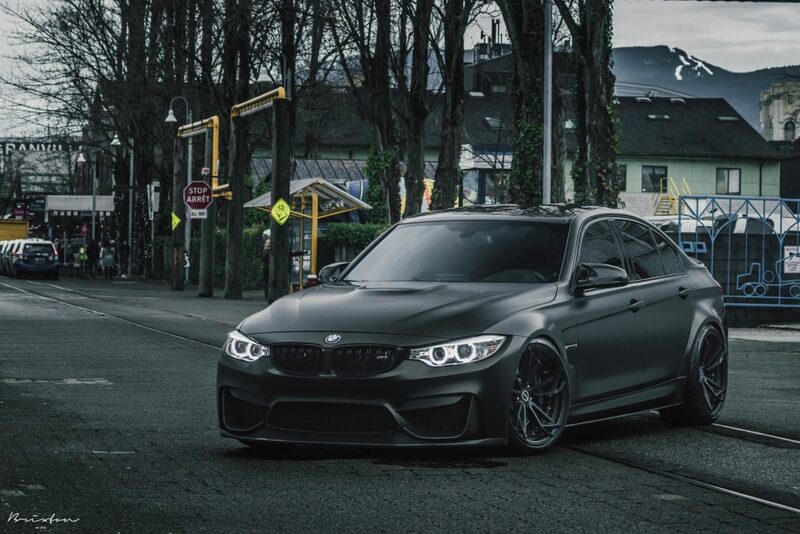 Even BMW M models that are legendary for their driving dynamics benefit from the installation of a KW coilover kit. 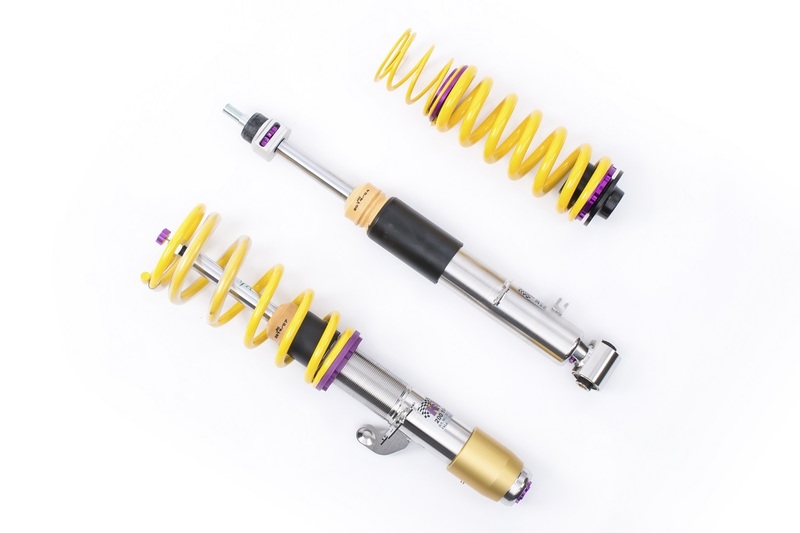 KW coilovers are the best foundation for even more driving dynamics of the BMW M3. 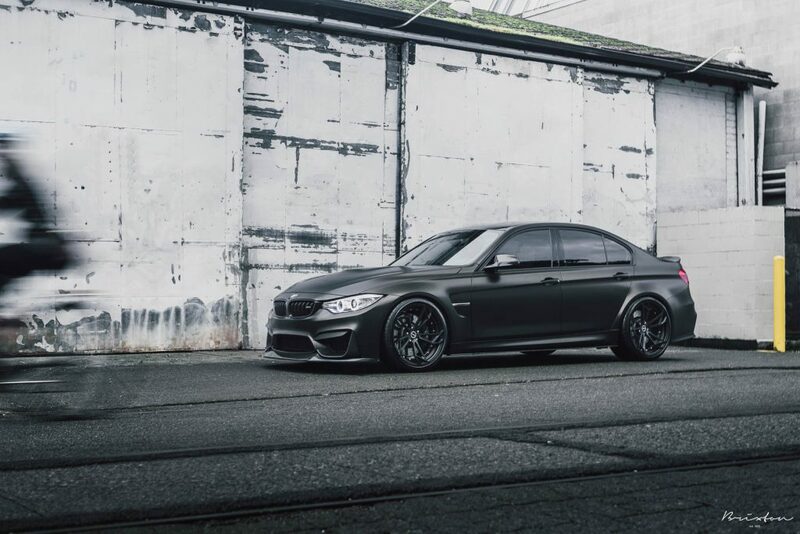 While the KW Clubsport coilovers are the ideal accessory for M-enthusiasts who regularly drive their M3 (F80) on the Nordschleife and other racing circuits, the KW coilover kit Variant 3 is perfect for more driving pleasure on the road. 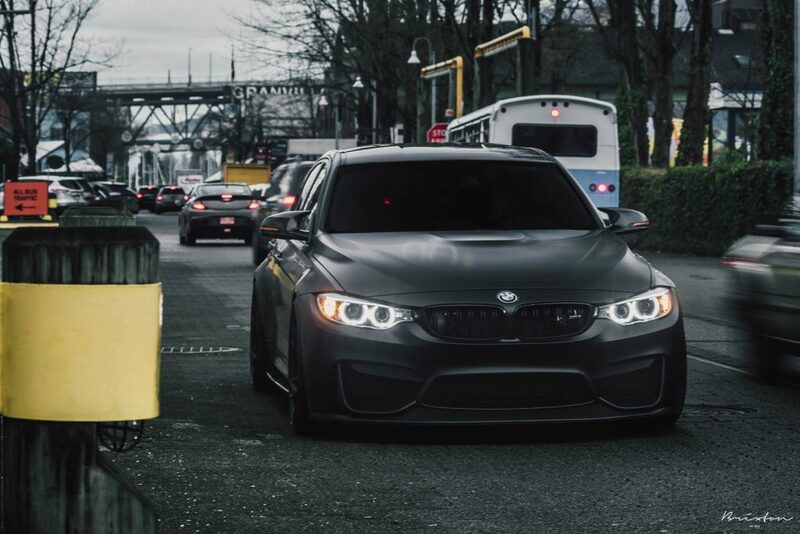 We had the pleasure of taking this matte black BMW F80 M3 out for this photo shoot and got to see first hand how many heads it turned on every street. No, that isn’t an overstatement, this car was breaking necks. 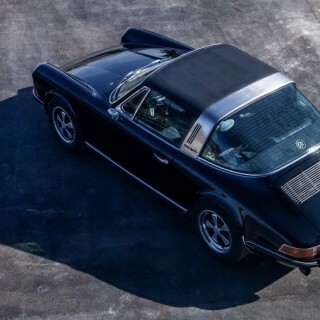 It’s visually and purposefully loud yet subtle in all of the right ways and its impossible to go unnoticed. For our suspension developments, a maximum TUV authorities approved lowering is important but also to increase the driving dynamics. In addition to a continuous lowering of up to 40 millimeters, also the rebound and compression damping can be adjusted separately and individually. So the damper basic setup that is recommended by KW for the sporty “Series-M” can be adapted according to personal preferences. The rebound can be changed with 16 exact clicks in order to consider any modifications of the wheel / tire dimensions. For the compression damping, the purple click wheel is integrated in the stainless steel strut or the rear axle damper housing. By changing the compression damping, the basic setup can be adapted to the respective tire stiffness and also a noticeable influence on the body roll movements can be taken, without to change the spring rate that perfectly matches the rebound damping. 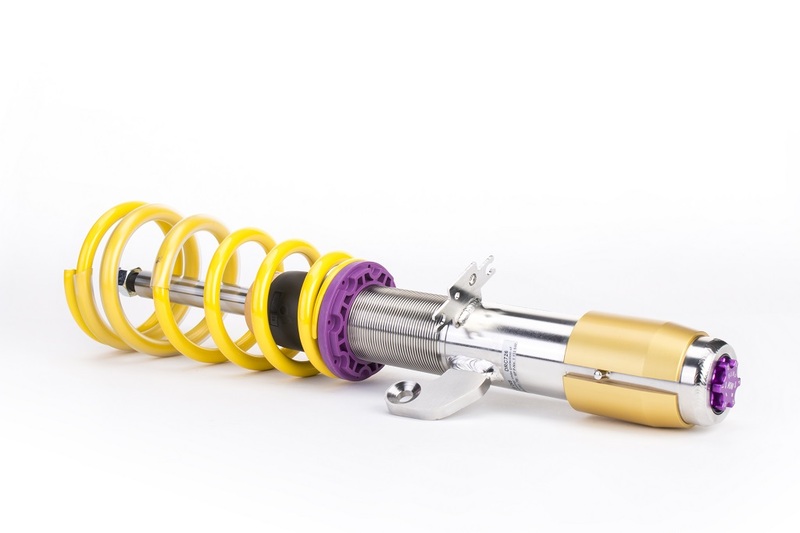 Through the transfer of technology from motorsport to the road, the KW coilovers guarantee a sporty driving experience without that the ride comfort in everyday life suffers. 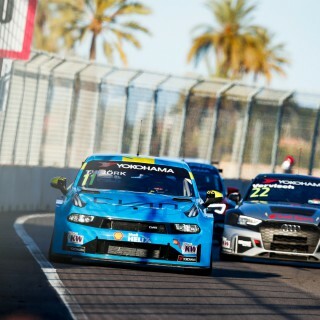 For example, numerous BMW race cars like the BMW Z4 GT3 or the BMW M235i Racing Cup that are used in the BMW Sports Trophy are equipped with KW dampers. 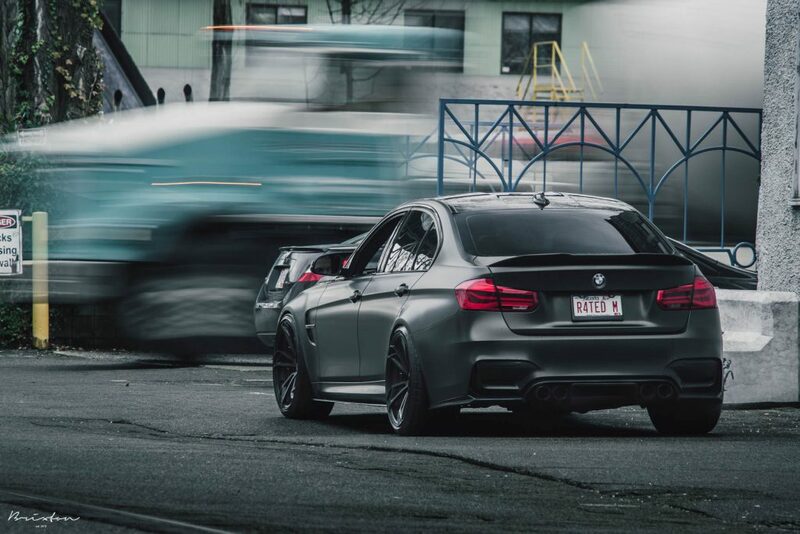 During installation tests in the M3 with conventional lowering springs with 35 mm we found out that no more suspension travel is left and the BMW M3 only absorbs via the standard bump stop. Accordingly the driving behavior is uncomfortable and during critical maneuvers it can get dangerous. We recommend always installing an adjustable Variant 3, Variant 4 or adaptive coilover kit like DDC plug&play for your daily sheer driving pleasure. 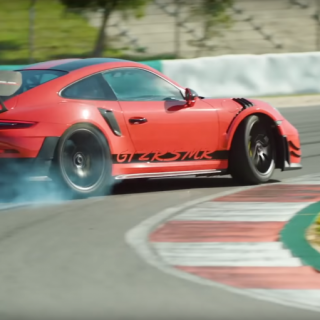 Trackday enthusiast should opt for Clubsport kits. 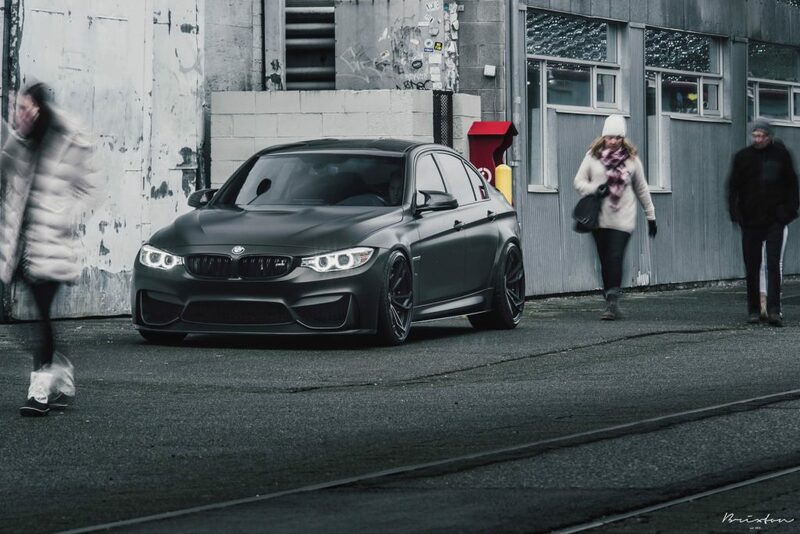 Complimenting this BMW F80 M3 has been outfitted with a Akrapovic titanium exhaust, downpipes, intake, etc. The list goes on. Furthermore, it has been fit flush to fender with a set of 20″ 2-piece Brixton Forged PF1 Duo Series forged wheels. 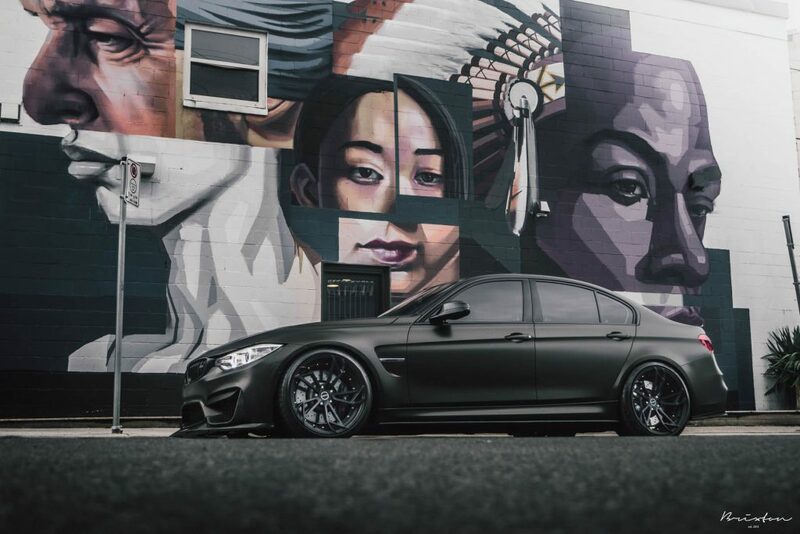 The sizes of the Brixton wheels finished in Satin Black with Rau Titanium Hardware on the matte black BMW F80 M3 are 20 x 9.5″ and 20 x 12.0″. For prices and all information about the wheels please get in touch with Brixton (http://brixtonforged.com/).